Meet James Dalpee, the new DC Access Customer Service Specialist! 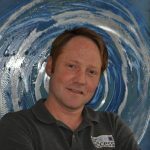 James is excited to join the DC Access team, assisting customers with any questions or concerns they may have. If it’s a technical question, James gets customers the assistance they need, either on the phone or often in person with one of our talented technical staff. James can also assist potential customers on the Hill and Adams Morgan get set up with DC Access service. James prides himself on providing friendly, convenient customer service, and enjoys helping customers make the switch to DC Access. James grew up on Capitol Hill and is happy to be part of the community again. James recently returned to town from Portland, Oregon where he has lived off and on for several years, pursuing his Master’s degree. Now that he’s back in town, James is looking forward to becoming a DC Access customer himself, and helping his new housemate cut the cord. James has a passion for interior design, which he enjoys doing on the side, occasionally. He also loves to watch and play tennis, but he hasn’t had a chance to hit the courts in quite some time. You might find James at Las Placitas, a Salvadoran seafood and papusa restaurant. He started going there with his parents as a kid and stills enjoy it to this day. Or, you might see James looking up and admiring the beautiful architecture and design all around the Hill. You can reach James at james@dcaccess.net or (202) 546-5898. Drop him a line or give him a call to get your new service installed, to help with paint color choices or just to say hi. One of the truest signs of fall is the kickoff to the football season. 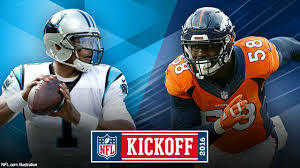 The National Football League is set to open on Thursday September 8 when the defending Super Bowl Champs Denver Broncos take on the Carolina Panthers. Lucky for cord cutters, it’s now easier than ever to catch every moment of the season without a cable contract. So break out your lucky jersey and best tailgate recipes, and get ready for some football! Many NFL games are broadcast on Over-The-Air channels, so it’s easy for cord cutters to catch the local game for free on NBC, CBS, or Fox. But if you’re looking for another game on any given Sunday, there are still lots of viewing options. Monday Night Football on ESPN – In order to catch every Monday Night Football game on ESPN, you’ll need a subscription to either SlingTV’s Orange Package or PlayStation Vue to watch the games on your TV through a streaming device like Apple TV or Roku (DC Access recommends using a wired streaming device that plugs into an ethernet port, rather than a stick). Twitter – New this year, fans will be able to watch 10 Thursday night NFL games live on Twitter. It’s not yet clear how exactly this partnership will work, but be sure to follow @NFL on Twitter to get the latest details! NFL Game Pass – You can also go right to the source and buy a subscription to NFL GamePass, which gives fans access to every game ever played from 2009 to the present. The only downside is that you can’t stream live games; replays are available immediately after the live broadcast is over. So if you want the freedom to watch your games at a time most convenient for you, NFL GamePass is a good choice. Grab a seat on the couch, grab a beer, and settle in for the season!